Neal Layton news » Blog Archive » Stanley's Stick's TV Debut! 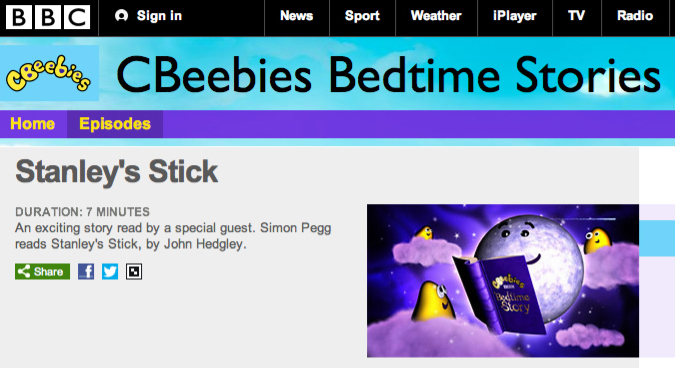 Simon Pegg reads Stanley’s Stick, by John Hegley on CBeebies! If you missed the broadcast show (or the ending!) you can view it on demand until 26th December here.